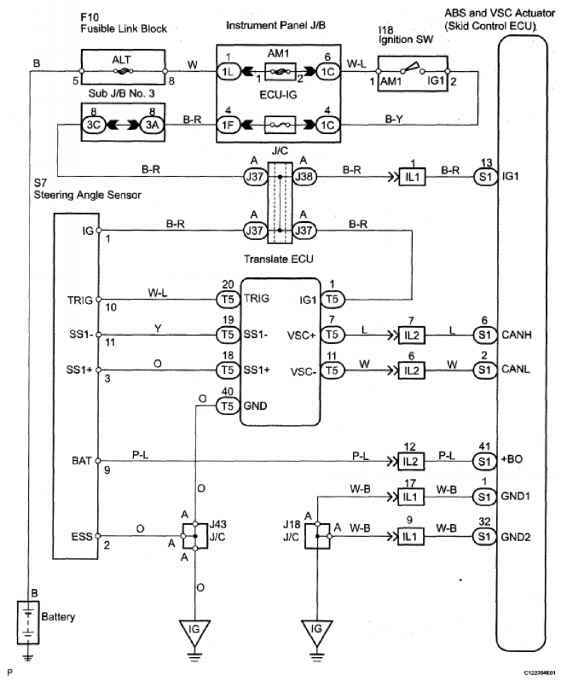 This circuit is used to send TRAC and VSC control information from the skid control ECU to the ECM (CAN communication system) and engine control information from the ECM to the skid control ECU (CAN communication system). The skid control ECU and ECM are connected to each other via the translate ECU using the CAN communication system. translate ECU for a fixed time. a. Check engine control system (See DTC CHECK / CLEAR ). a. Check DTC of the translate ECU (See DTC CHECK / CLEAR ). a. Check for open and short circuit in harness and connector between slid control ECU and translate ECU (CAN1 circuit). b. Turn the ignition switch OFF. 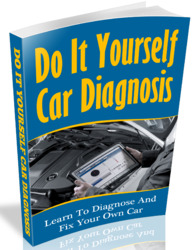 c. Turn the ignition switch to the ON position, and check if the same DTC still remains in the memory. 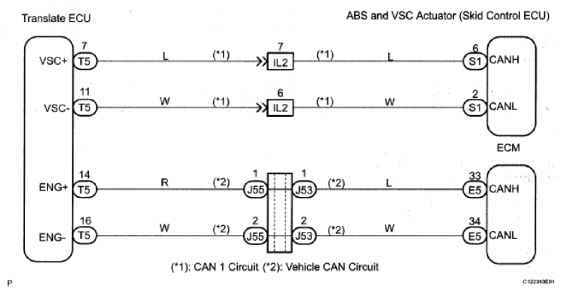 This DTC is output when the VSC system detects a malfunction in the ABS system. ABS control system is abnormal. The steering angle sensor signal is sent to the skid control ECU via the CAN communication system. When there is a malfunction in the communication system, the DTCs will be detected by the diagnosis function. Data is not transmitted to the steering angle sensor for a fixed time invalid steering angle sensor data. When the +BS terminal voltage is 9.5 V or more, data transmission from the steering angle sensor is impossible for 1 sec. or more. • When replacing the skid control ECU, perform the zero point calibration (See CALIBRATION ). 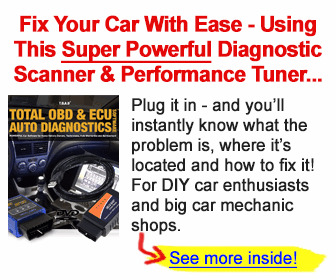 How to repair Brake ECU Communication Circuit Malfunction? Where is the anti skid control ecm on 2007 camry? Which of this engine control system communication circuit for toyota sequoia 2003? How to fix a skid control ecu 2006 tacoma? How to reset skid control ECU DTC.? How reset toyota ecm communication circuit? Where is the position of ABS can communication wire located on toyota land cruiser 2008? HOW TO REPLACE THE SKID CONTROL ECU 2007 CAMRY?